Maintaining your car takes a lot of effort and most people immediately seek the services of a professional mechanic when they experience engine problems or those electrical systems go haywire. This is because that most people that professional mechanics have the training and knowledge to fix their car and get it running correctly once more. Unfortunately, there are fewer people who seek the the service of a professional locksmith when their car suffers from a lock or key problem. Whether the problem is as simply and locking yourself out of your car or as complicated as losing your car key, a professional car locksmith is the best choice to solve you car locking or key problem. In the good days, retrieving your car keys from a locked car if a window was partially down was something that every person could do themselves if they had a clothes hanger or stiff wire. You simple worked the wire in through the window and pulled up the rounded top of the lock and you were inside. However, most of today’s car doors have smooth locking mechanisms so there is noting to work a wire around so the only way to unlock that car door is through the lock itself. Sticking a wire or some other foreign object into your doors lock is a very bad idea. Not only could you get the object stuck into the lock or have it break off you can damage the locking mechanism itself costing you a ton of money to repair. On the other hand a licensed locksmith from Fresh Meadows Best Locksmith not only has the tools, but also the knowledge on how to unlock that car door so than no damage occurs. While you do need to pay the locksmith for his services, the cost is a whole lot less than repairing that lock would be. In addition, our car locksmith does more than just unlock those car doors. They also can make and reprogram new ignition keys, remove those club locks from your steering wheel, and retrieve those broken off keys from trunk or door locks as well as repair the locks on your car itself should the need arise. 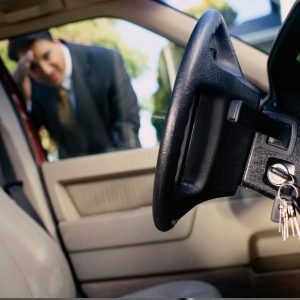 Best of all the car locksmith at Fresh Meadows Best Locksmith provides quick 24 hour a day 7 day a week services in the case of an emergency so that you can help you need when you need it. We also provide more than car locksmith services as we are a full service locksmith that can provide services to your home and office as well. Whether you are locked out of your garage, need or home or office lock repaired or are looking for someone to install that security lock system we the company to call. So why not give us a call at 718-233-1144 and find out what a professional locksmith can do for your key or lock problem?